I was worried about ordering a sofa online but I couldn't be more pleased. 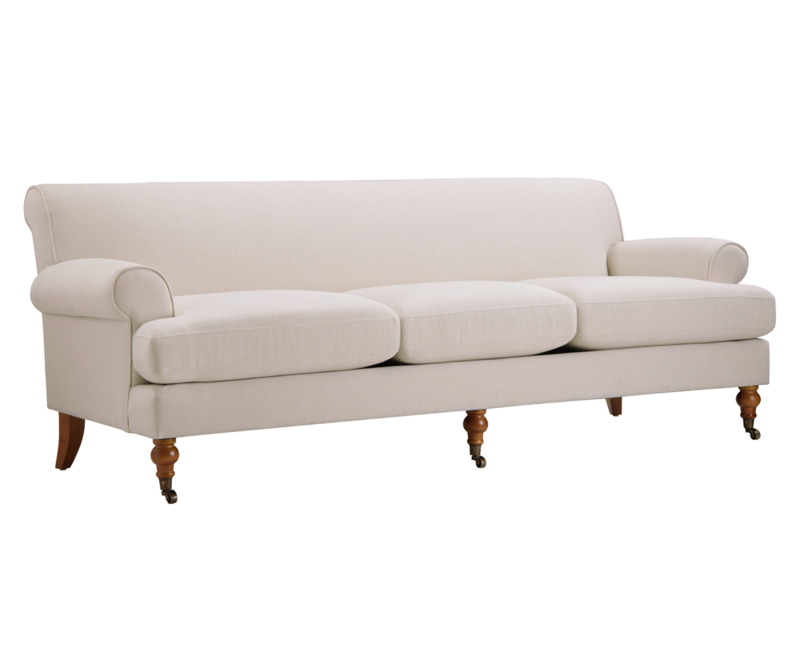 The fabric is luxurious and it is a very elegant sofa. It is firm yet very comfortable! Against my rather plain jane nature, I purchased the orange. Lovely color. The fabric is soft, the upholstering is well done and the cushions have just the right amount of firmness. Looks and feels like a high end sofa. Highly recommend. I was looking for something simple and good looking, sort of a mix of traditional/ southwest styles. I ordered the orange, and the color is lovely. It's like a cantaloupe/ peach/ tangerine. Orange is not my color, but based on the reviews, decided to take a huge risk. Thanks, reviewers for accurate descriptions. This is not an obnoxious orange. The sofa is quite small compared to what it appears to be, this is fine for me. Quite frankly, I've grown tired of oversized furniture taking over the rooms. This is perfect for small spaces and works well if you're a minimalist. We have space for larger furniture but revamping everything so it feels less cramped. My favorite part is the tight back, simple and elegant. The velvet is lovely. The "roll" back is so subtle and doesn't take up much room, this is a huge plus because it doesn't stick out from the wall. It's almost flush. I'm taking one star off for the price, seems just a bit too high for it. It's nice though. Delivery was fantastic. You'll need some help getting the legs on and wrappers off. Kids helped and it took about 45 minutes. We paid for the delivery to room of choice and it was well worth it. Overall, I recommend this. 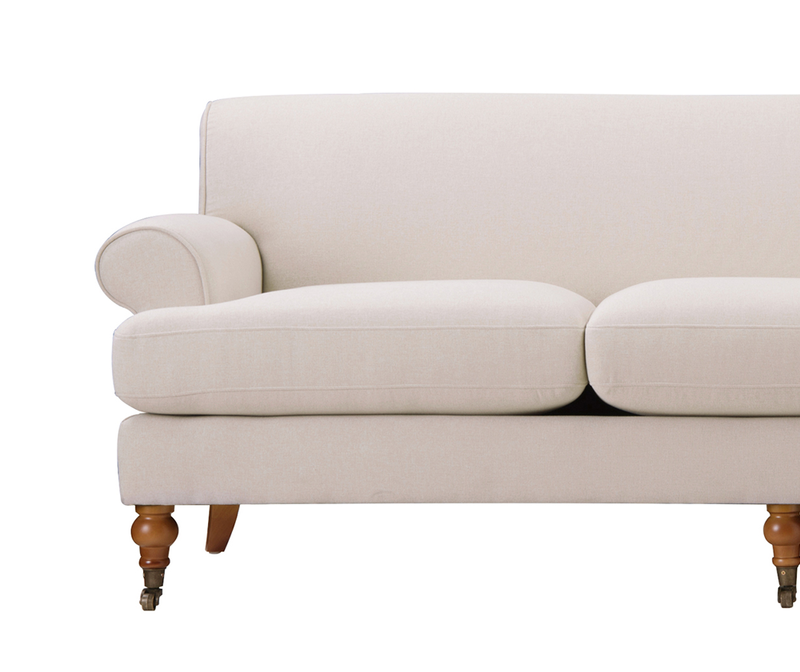 It's difficult buying furniture online bc you never know how it's going to feel but this sofa does not disappoint. Not only is it attractive but it's very comfortable. This sofa is gorgeous! The pictures don’t do justice. First, I am super picky and have a very critical eye. This sofa passes the test. The orange color is subtle yet beautiful. The fabric is beyond soft and luxurious. The cushions fit snuggly and don’t slide. They are firm but not uncomfortable. The throw pillows (from Target) I added are actually a light pink but blend beautifully with the orange color. I think the description of the sofa as “orange” is accurate but do not feel like you are getting a pumpkin orange. The feet easily attached and have a very nice brown finish. The sofa arrived heavily wrapped and protected. My only complaint was the slow delivery. My order said ships within 24 hours, which it did. However once shipped and arrived at a local warehouse it another week just to get the sofa. All in all this sofa is amazing and I have received a ton of compliments!